As we remain desperate for any intel on what to expect from the next and final season of Game of Thrones, thankfully we have been gifted a pretty massive spoiler: the battle between the humans and undead will happen sooner than we think. 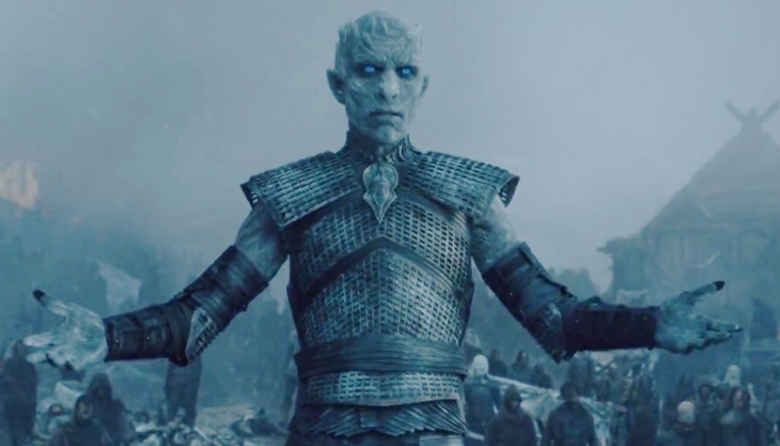 Vladimír Furdík plays The Night King in the series and told a fan in Hungary that the long-awaited battle between the seven kingdoms and the white walkers will go down in episode three. Omfg. My body is ready. “In the third episode of the last season, there is a battle that the creators intended to be a historic moment in television,” he said. Each season, the GoT ‘battle’ episodes get bigger, more graphic, and more intense. Who can forget the ‘Battle of the Bastards’ from season six that left us all permanently shook?! Bring on the battle of the living and zombie dragons, I say!